The Tempest Pack DLC will be released on October 27 for the low, low price of 400 MS points. "But what does the Tempest Pack have in it, Vector Unit? Is it really worth four one hundreds of my hard-earned and oh-so-precious points?" Why yes, sir, it is. With the Tempest Pack you get three (THREE!) brand new original race tracks, including the Bermuda Triangle, Atlantis, and Castle Von BOOOOOM! And of course you also get all the Ring Master and Gauntlet variations for these tracks. You get two all new original boats - the super-agile Whiplash and the slip-slidery Psyclone. But wait, there's more! The Tempest Pack also includes new skins for all the original game's boats, including the two contest-winning skins for Rad Hazard and Banshee. But wait! Don't answer yet! As a bonus we've also included six "X boats": Expert level variations of all the original boats, so you can compete online and on the Leaderboards with any boat you want! That's 11 Expert class boats to chose from! And then there's the little matter of 3 new Achievements worth an extra 50 sweet, sweet Gamerscore. The Hydro Thunder Hurricane Tempest Pack. October 27. 400 points. Nuff said. Still no hard date yet but we're targeting 10/27. If there's a chance of releasing it sooner we will. Microsoft Game Studios and developer Vector Unit today announced the “Tempest Pack”, a downloadable expansion pack for the Xbox LIVE® Summer of Arcade hit Hydro Thunder Hurricane, available for download on Xbox LIVE® Marketplace for the Xbox 360™ video game and entertainment system from Microsoft in October 2010. 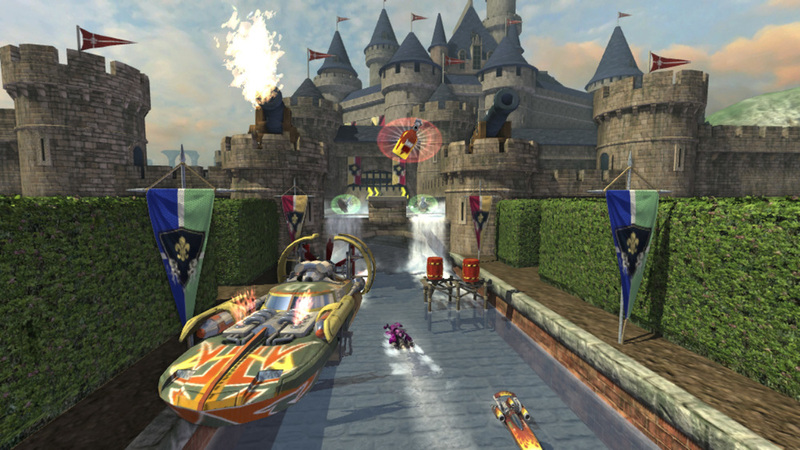 The Tempest Pack will include three brand new racing environments, two new Expert-class rocket-powered speedboats, a slew of new boat skins for existing boats, as well as new Championship, Ring Master and Gauntlet events. New tracks include the volcanic ruins of Atlantis, the hurricane-whipped waters of the Bermuda Triangle, and a medieval obstacle course packed with exploding barrels and interactive cannons known as Castle Von Boom. But the new vehicles don’t stop there. As an added bonus, developer Vector Unit is including supercharged versions of the six Novice and Pro boats available in the base game, bringing the total number of playable Expert class boats to 11. All new and existing boats get new unlockable skins, including paint schemes for Banshee and Rad Hazard designed by the winners of the Design-A-Skin Video Contest hosted by Vector Unit in August. The Tempest Pack also adds three Gamerscore-boosting Achievements, Ring Master and Gauntlet courses for all new levels, and three new Championships. Exact release date and pricing will be announced at a later date. Vector Unit is pleased to announce the winners of the Hydro Thunder Hurricane Design-A-Skin Video Contest: Adam DeLoach and Brian Atkinson. Adam's entry won with the most views on YouTube at the contest close. He really went the extra mile by cannonballing into a swimming pool with his HTH shout-out. His striped-eel skin design will appear as an option for Rad Hazard in the upcoming DLC pack. For our hand-picked winner, the choice was difficult. We received a lot of creative and enthusiastic entries, but we particularly liked the one-two punch of Brian's echo-chamber shout-out and his cool sounding skin idea. We'll be adding his winged dragon design for Banshee in the DLC. We are truly impressed with the time and energy Hydro Thunder fans put into this, and to show our appreciation we are extending the bonus prize and awarding a free copy of the upcoming DLC to every one of you who submitted an entry. Our heartfelt thanks to everyone who entered! We'll see you on the water! UPDATE: The Design-A-Skin contest is now closed. We will be announcing the winners shortly. Thanks. San Rafael, CA – August 16, 2010. 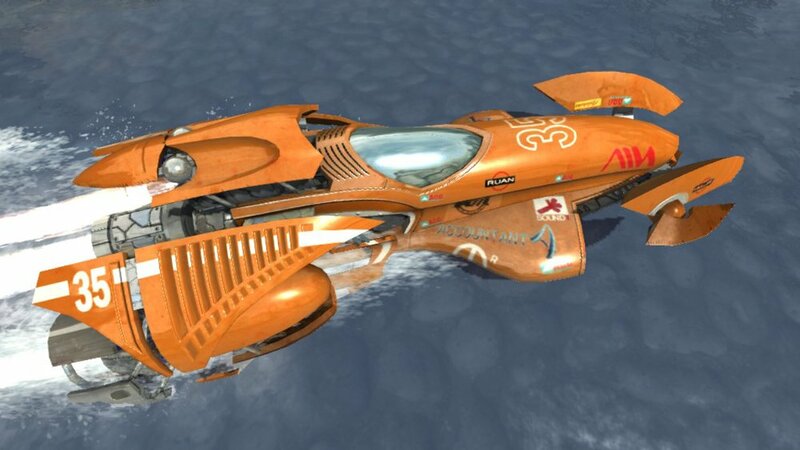 Vector Unit, the developer of Hydro Thunder Hurricane announces the Hydro Thunder Hurricane Design-A-Skin Contest: two winners will each art-direct their own custom boat skin for inclusion in the hit game’s upcoming downloadable expansion pack. To enter, contestants simply upload a video of themselves to YouTube yelling out the name of the game in the classic Hydro Thunder announcer’s voice, “Hydroooo Thunnnnderrrr HURRICAAANE!”, and describe the skin they’d like to see for their favorite boat. On August 23, two winners will be selected to make their mark on Hydro Thunder history by having their custom skin idea created for the boat of their choice. Each winner will also receive a code for a free copy of the downloadable content pack when it becomes available early this fall. A full description of the contest and rules about how to enter is available on Vector Unit's website atwww.vectorunit.com/hth-contest. A video announcement of the contest is also available on Vector Unit's YouTube channel: http://www.youtube.com/vectorunit. 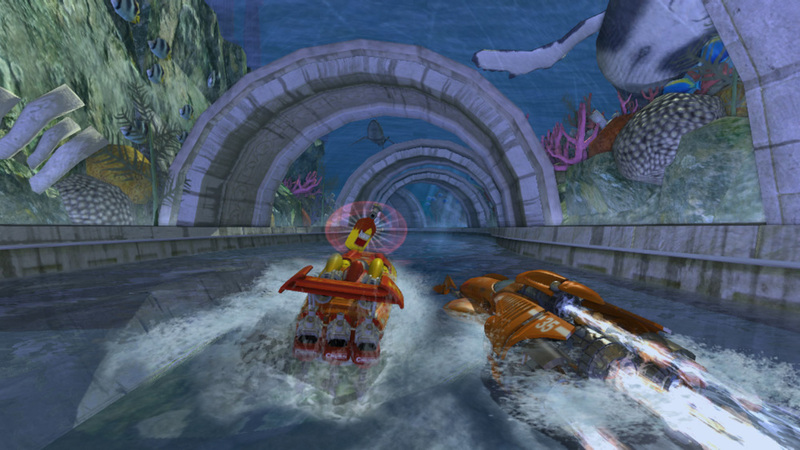 Hydro Thunder Hurricane is the official sequel to the classic Midway hit Hydro Thunder, and is a Summer of Arcade selection available for download exclusively on Microsoft’s Xbox LIVE Arcade. In addition to single player game modes like Race, Ring Master, and Championship, the game supports a thriving multiplayer community with 8 player online matches, 4 player split screen, and support for local split-screen plus online in combination.